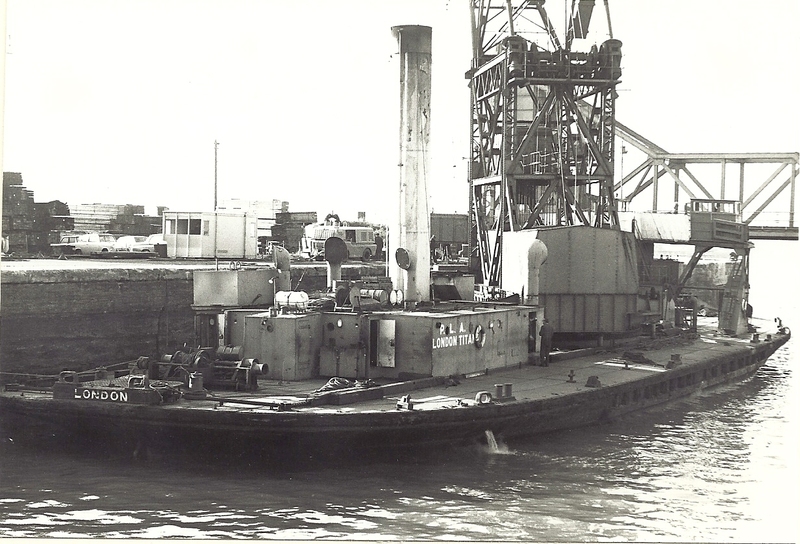 She was a self propelled crane used to load heavy items on or off ships decks. The other crane seen on the Thames was the LONDON MAMMOTH. 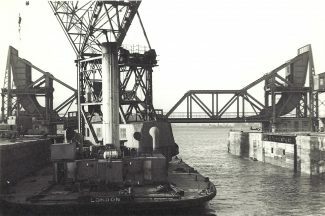 This photo also shows the lifting bridge. P&O boat trains travelled over this bridge to the passenger terminal. I can still hear the noise of the steam trains. This is one that has dropped off the radar. I am told that it was sold by the PLA “about 20 years ago”, but another source has told me that it is “up for sale”. I will try to find out where it is. In the meantime, LONDON TITAN (779 tons gross), was built by Fleming & Ferguson, of Paisley, Scotland, and its name when completed was M.O.W.T.9. It was in service in the port of London during the last couple of years of the war, when its manager on behalf of the Ministry of War Transport (later Ministry of Transport), was the PLA. 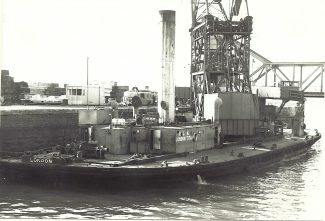 The PLA bought the vessel in 1947 and it was then renamed LONDON TITAN.